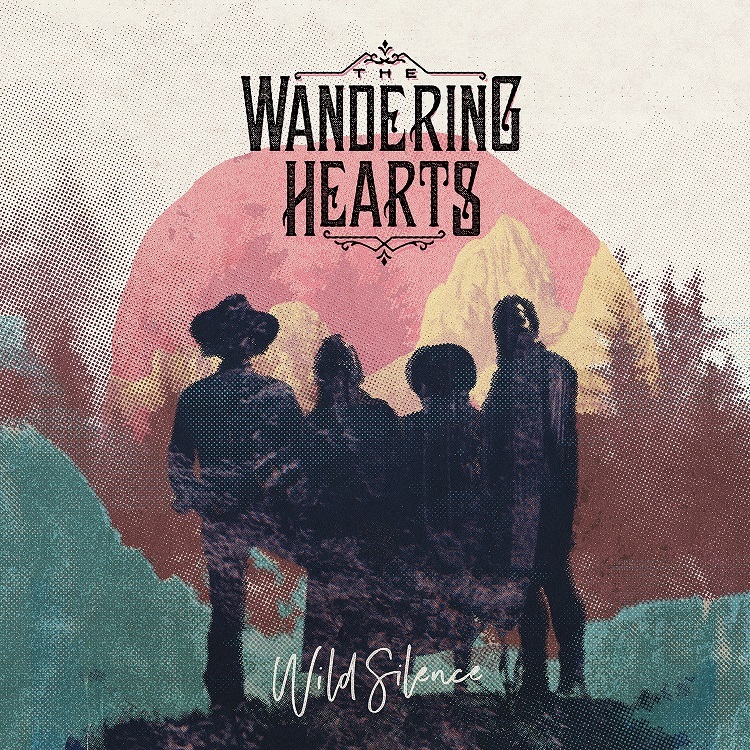 The darlings of the UK’s Americana scene, The Wandering Hearts, today release their debut album.Wild Silence caps a fairy-tale twelve months for the charismatic foursome. From signing to Decca, to the group’s magical showcase gig at St Pancras Old Church, to the first headline gig at London’s Borderline, to touring with Marty Stuart and winning the Bob Harris Emerging Artist Award at the recent UK Americana Awards ceremony, BOON has been with the group at every step of the journey. We’ve also carried two interviews with them. The Wandering Hearts comprises of AJ And Tim (the boys) and Chess and Tara (the girls). They have been compared by other writers as the Americana ABBA. Listen to them, or better still go and see them live. Mind you, the album tour has all but sold out. So it was with much expectation that we played the preview copy of Wild Silence. Could it live up to the hype? Could it match the group’s mesmerising live performances? Could it bring the quartet’s sparkling personalities to life? Buy the album to find out for yourself. You won’t be disappointed. The track Burning Bridges is worth the price of admission alone, as it is always for the group’s live performances. This is a classic, beautifully performed, beautifully produced. The album kicks off with Rattle, like the live shows often do. 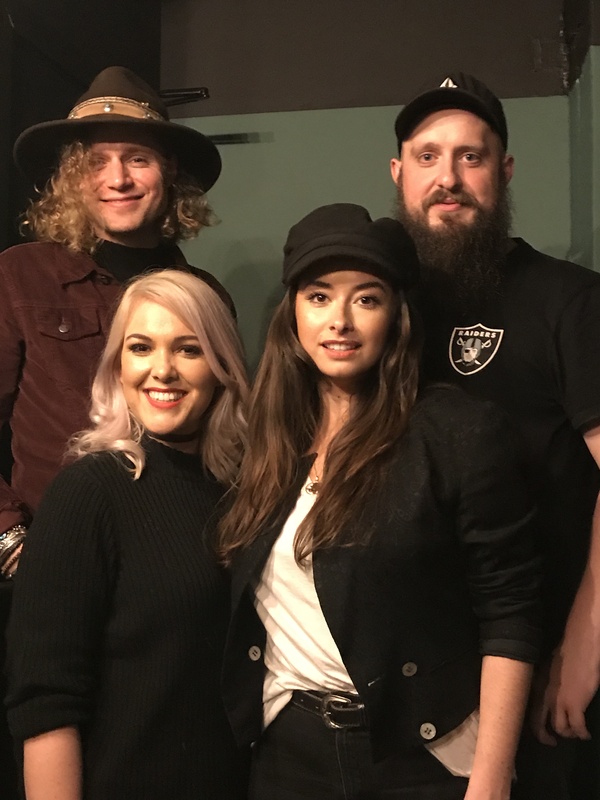 This is a powerful opener and the essence of The Wandering Hearts, superb harmonies with confidence, superbly delivered. Fleetwood Mac would be proud of this. Wish I Could is an anthemic catchy tune and continues the theme. Fire And Water is one of the highlights of the group’s live sets. It roars along like the Eurostar, defying anyone not to tap their foot along to the driving beat. Change For The Good is one of the newer numbers and shows the group’s folkier side. Devil, the crowd pleaser and single is a devil of a track. Superb. This is my 13 year-old daughter’s favourite track. She’s a big fan. This should be a hit, commercial, catchy, foot-tapping. Biting Through The Wires again showcases the group’s superb harmonies. Wild Silence takes the tempo down a little with Chess and Tara taking the vocal duties. Laid In The Ground shows the vocal talents of the group, with trademark superb harmonies and a folk heritage. Then the big one, Burning Bridges, a masterpiece. The sympathetic recording catches the live spirit of the band. You won’t hear better harmonies than this. The Elvis-influenced titled Heartbreak Hotel follows, the driving beat of Tim underpinning the song and the vocals starring as ever. The album wraps up with Iona, another folky number, showing the vocal versatility of the band, moving into a catchy chorus and familiar territory. This is a fantastic debut album from a very talented band destined for great things. Bob Harris said at the recent UK Americana awards dinner that he loves this album and loves this group. Listen to Bob. Listen to the Wandering Hearts.